Sandra has practiced labour law and civil litigation (with an emphasis on employment and personal injury law) for over 35 years. 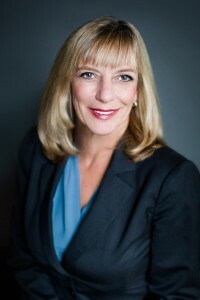 Sandra regularly appears at the British Columbia Court of Appeal, the British Columbia Supreme Court, labour arbitrations, the British Columbia Labour Board, and the Human Rights Tribunal. She has also appeared before the Quebec Court of Appeal, the Quebec Superior Court and the Manitoba Queen’s Bench. Sandra is an extraordinary advocate; her oral advocacy and cross-examination skills are highly respected by clients and counsel alike. In 2011, her ability and achievements in the legal profession were recognized when she was designated Queen’s Counsel. In addition, Sandra acted as Special Counsel to the BC Transit Board on issues of successorship and contracting out and represented the Ministry of Small Business, Tourism and Culture as Special Advisor on the Status of the Artist. In addition to being a past president of the P.N.E., she served for ten years on the Board of the Vancouver Museum and as a director of the Vancouver International Film Festival.